Hey guys! 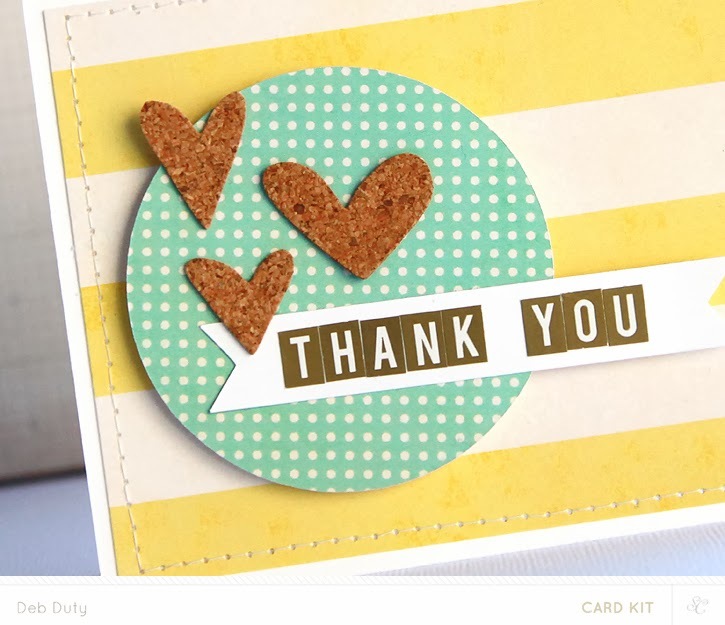 Just wanted to share one more card that I made with the Sugar Rush card kit, but this time I also used the dies that coordinate with the stamp set. 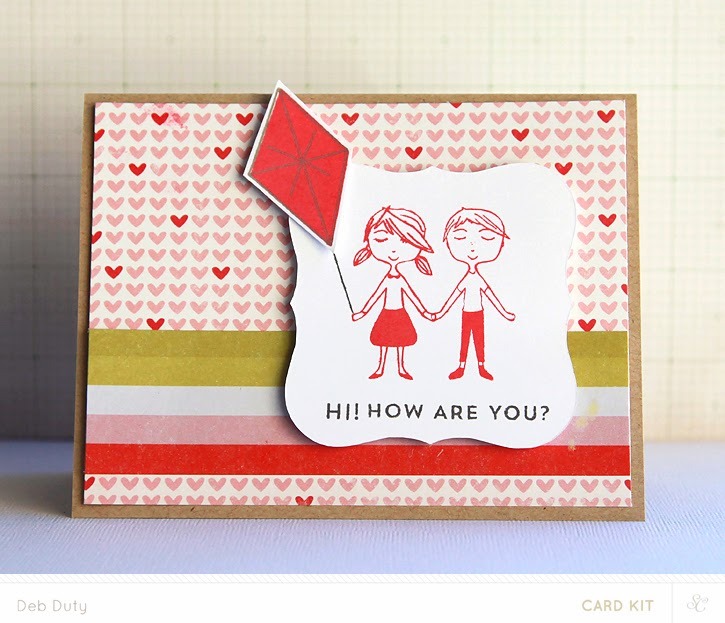 The card kit has an adorable stamp set this month, and matching dies are available here. 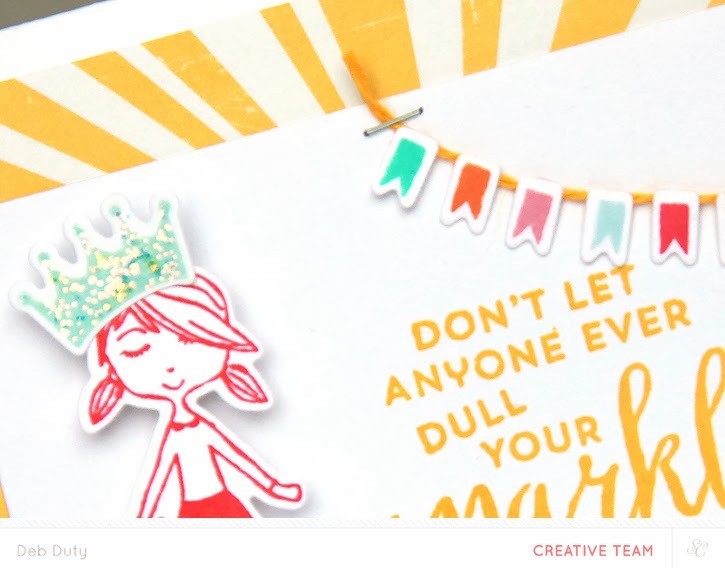 I stamped the girl, crown, and tiny banners and then cut them out with the matching dies. 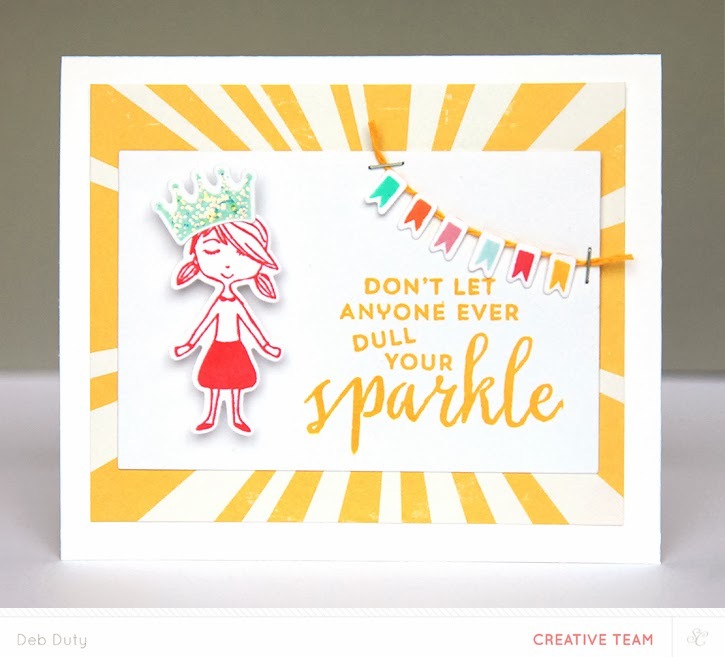 The crown is stamped in Hero Arts soft pool ink and then covered with stickles in icicle. 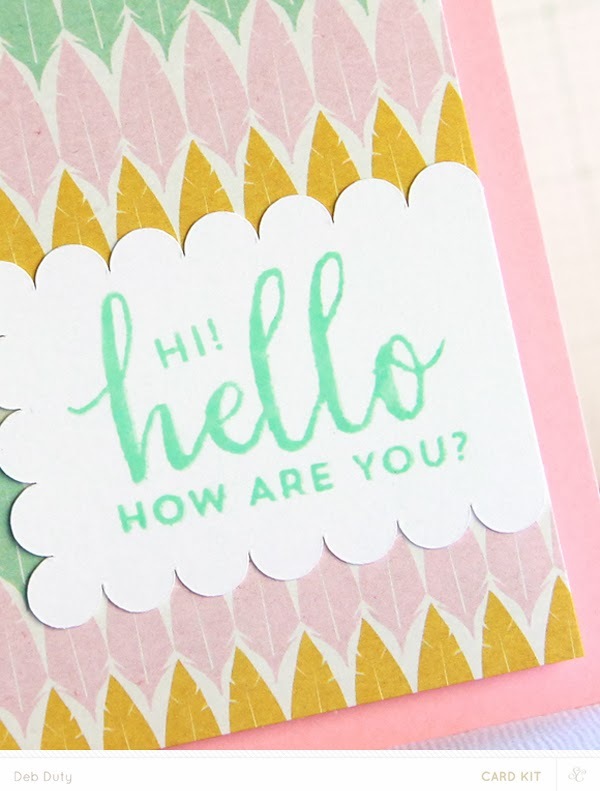 The banners, girl and sentiment were also stamped in Hero Arts shadow inks - tide pool, orange soda, soft blossom, soft pool, pale tomato and butter bar... all my favorite colors! Don't forget, if you are a subscriber to any of the Studio Calico kits, all purchases made between the 27th and the end of the month are bundled together for one shipping fee. So you have until midnight Eastern tonight to finish shopping! Finally, things have slowed down. I decided not to return to the Crate Paper team because I wanted more time to make things that I want to make. Last year I could barely keep up with assignments, but this year will be different. I'm only working for Studio Calico, which I'm happy about because they happen to be my favorite company! 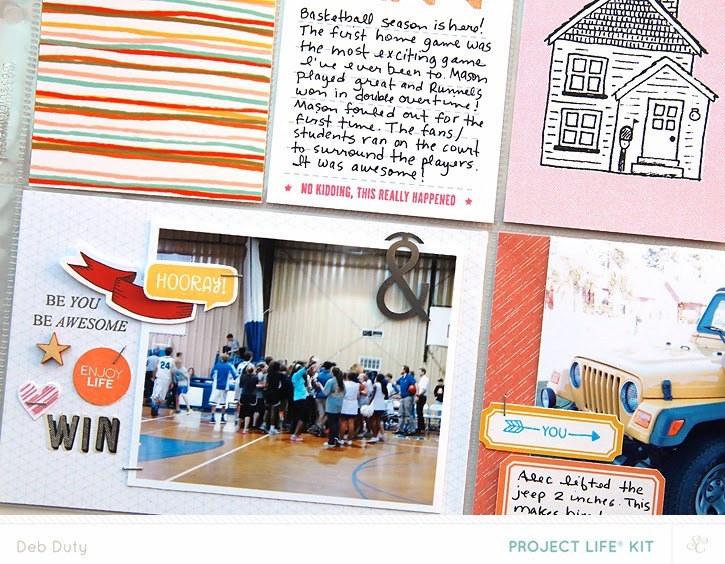 I am on their Project Life and Card teams. But I also love to make layouts so I'll still be making as many as I have time for. One change at Studio Calico this year is the way the Creative Team gets our kits. Last year we were able to get any of the kits we wanted in advance. This year we only get the kits related to the team we are on so I decided to sub to the scrapbook kit. 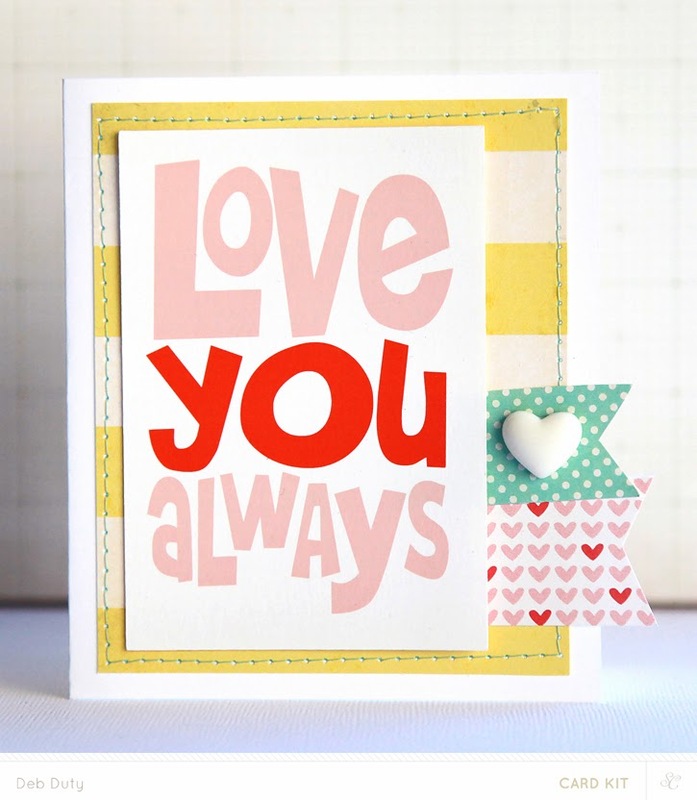 I used white backgrounds for both, but one was the American Crafts textured cardstock I normally use from the more white add-on, and the other is a warmer white in a pebble finish. 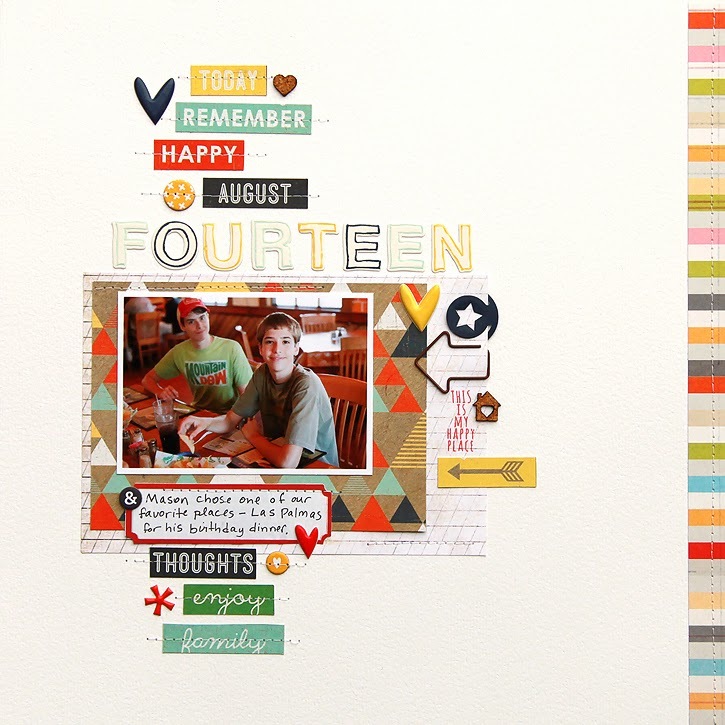 Most of what you see is from the scrapbook kit, but the letters in my title, Fourteen, are the Tyler letterpress and die cut alphas from the Studio Calico shop. Instead of the letterpress inks, I used Hero Arts shadow inks in soft pool, navy and butter bar. I do love the look of the letterpress inks, but when I'm in a hurry I use my stamp inks because the clean up is so much easier. 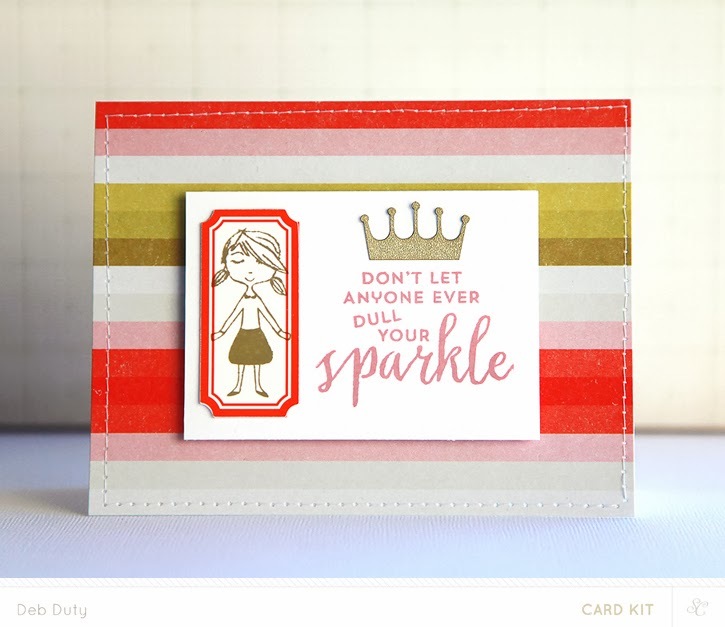 Be sure to check out the Studio Calico shop today.. the new collections are arriving! So far Essentials and Lemon Lush are available. 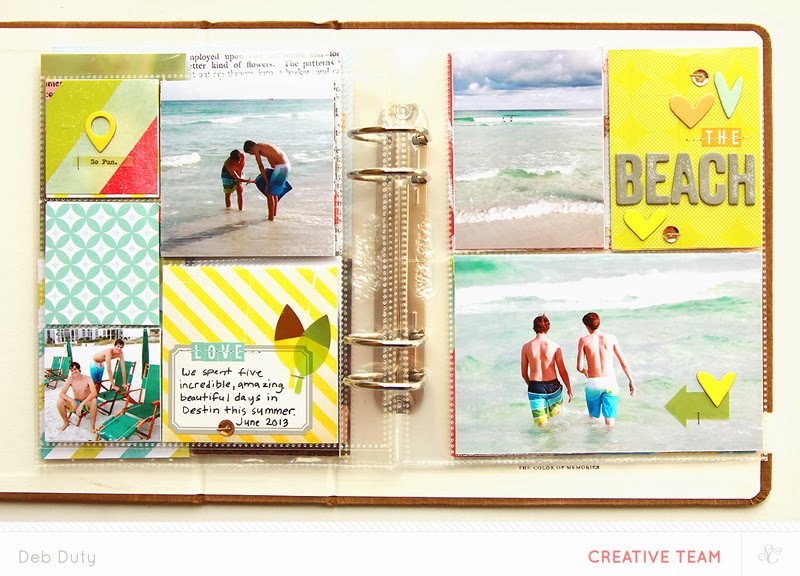 They are two of the lines I used to create the Handbook pages I shared recently. Wanderlust will be arriving soon so be sure to click the notify button in the shop so you'll be the first to know when it's here! 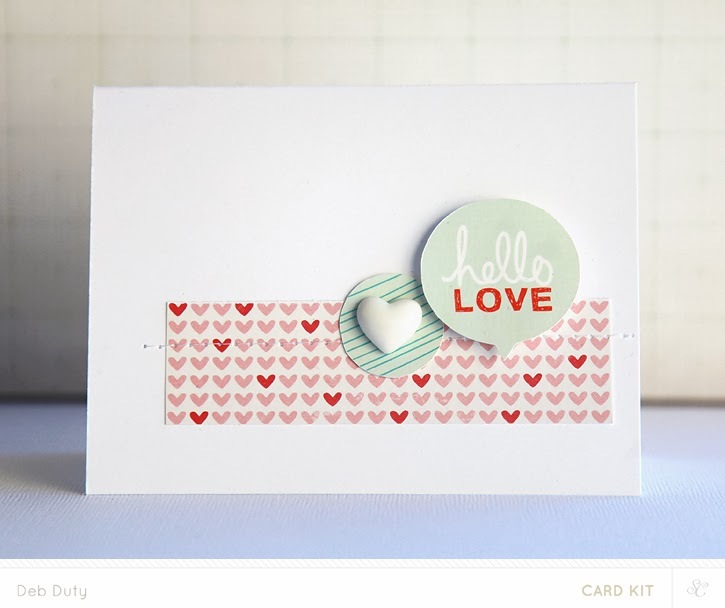 Did you notice the new dies that are for sale now on the kit page at Studio Calico? Lots of fun stuff! I was fortunate to get to try out the confetti and geotag dies. 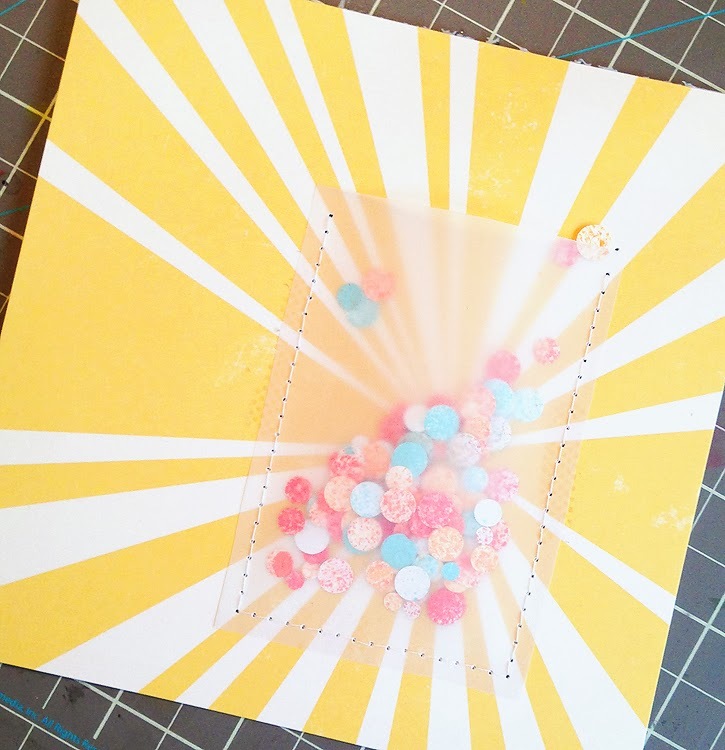 I love the idea of making confetti out of whatever I choose with the confetti die! Here's what I made and some tips on how these cards came together. 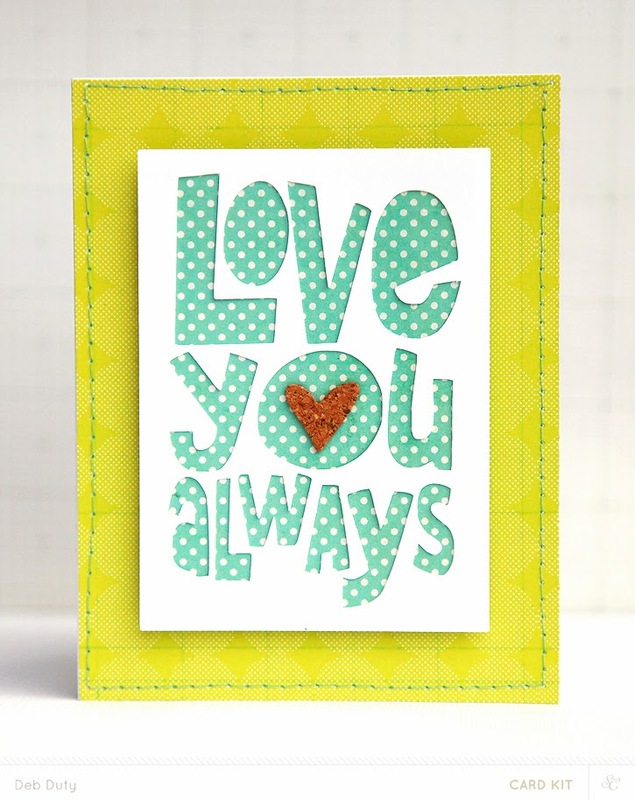 For this first card I used blue and green cardstock to make my confetti. I sewed on a vellum pocket on three sides, filled it up with the confetti, and finished with sewing the fourth side. 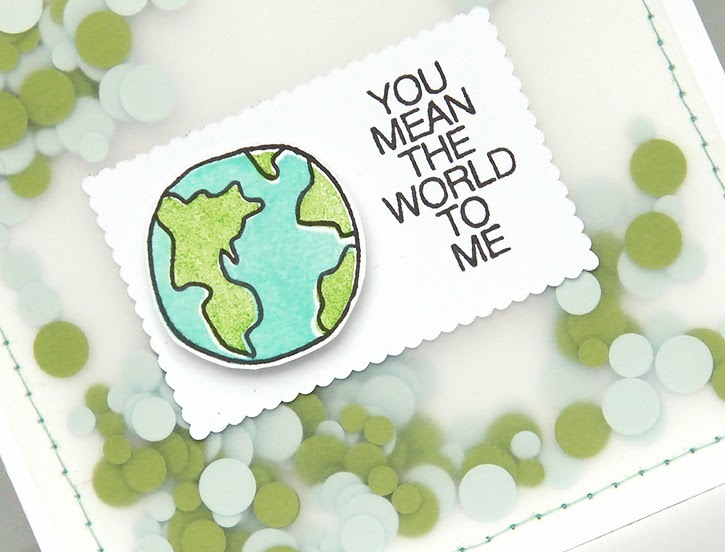 I stamped the little world from the Ring Pop add-on stamp. 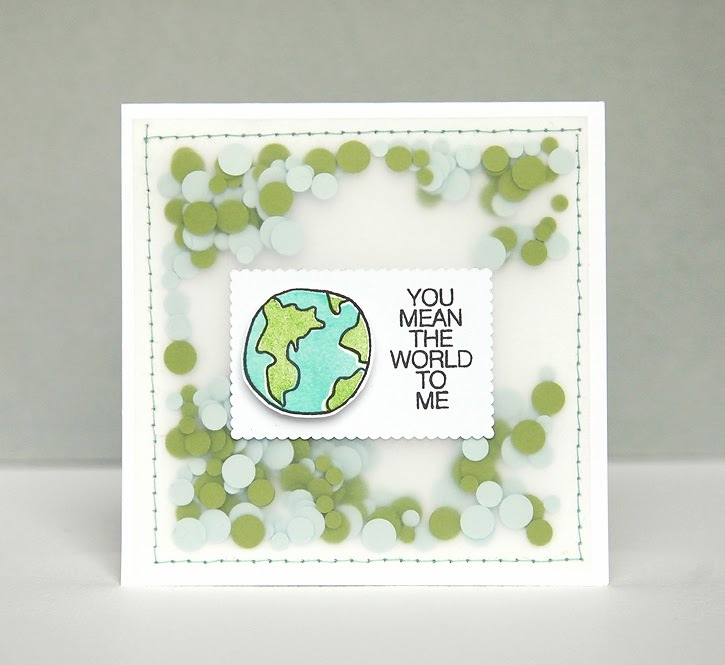 That stamp is so much fun - you can stamp the water, land and outline separately in different colors - yes, you can make an orange and pink world if that's what you want! 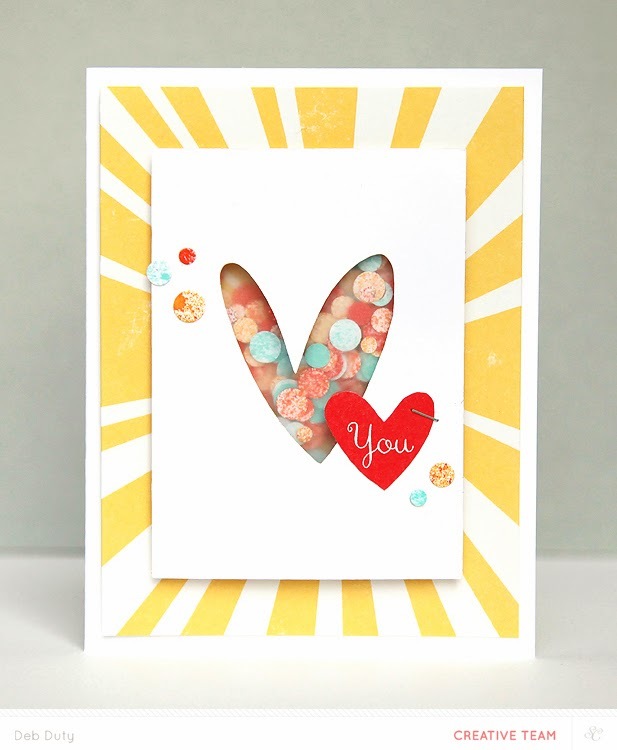 I made another card with a confetti-filled heart using a heart card from the love you cut files and patterned paper from the Sugar Rush card kit. For my confetti, this time I used Mister Huey to color white card stock. 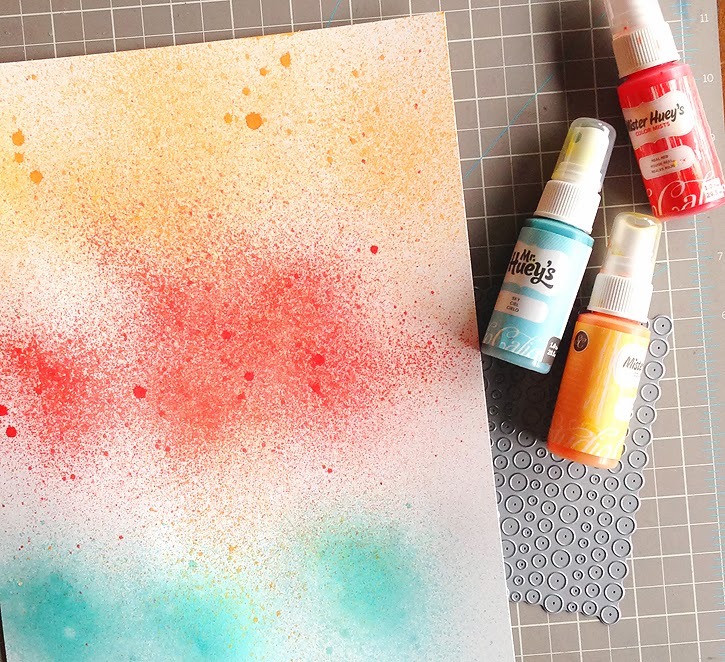 I sprayed three different colors - real red, sky and sunshine onto my paper. 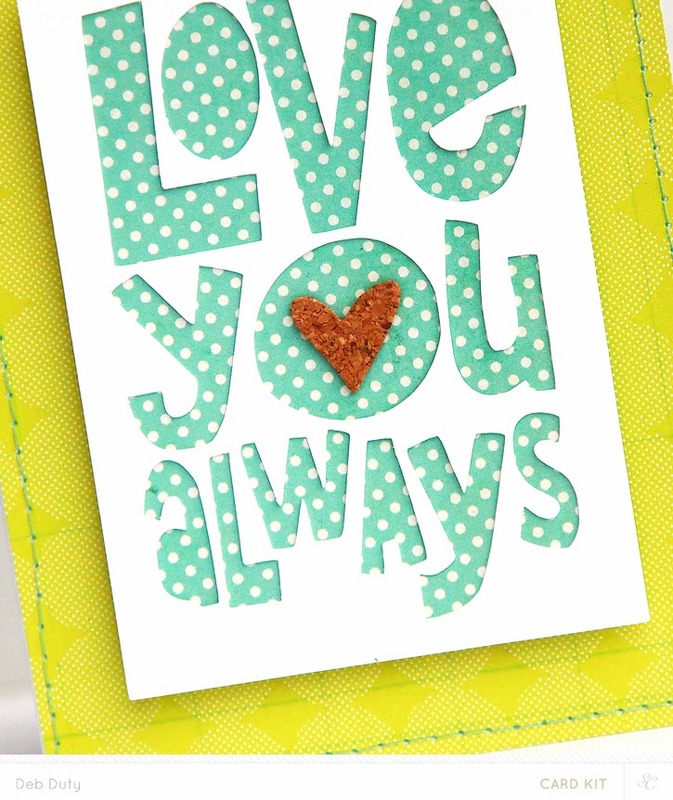 I sewed a piece of vellum sized just a little smaller than my heart card to my patterned paper on three sides. Then I filled it with my misted confetti. Isn't it pretty?! 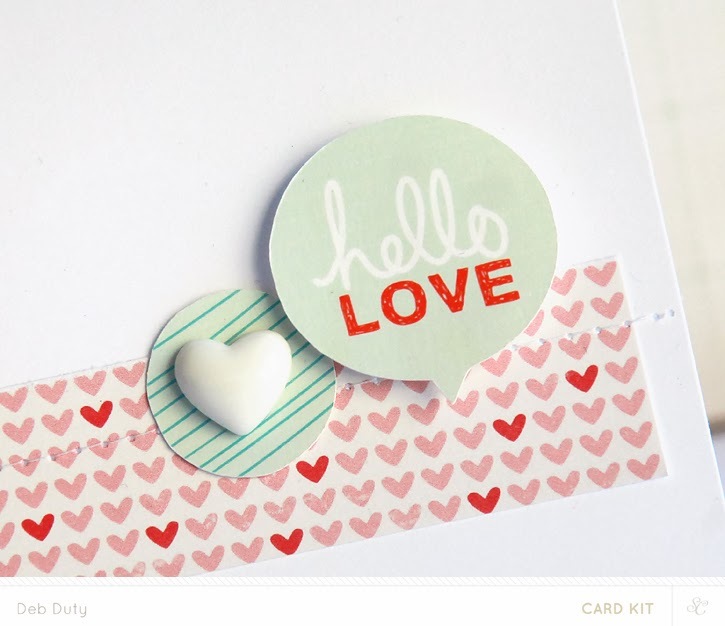 Then I just cut the patterned paper down to fit on my card base and attached the heart card with foam adhesive. I added a few more confetti circles and a heart on the front to finish it off. 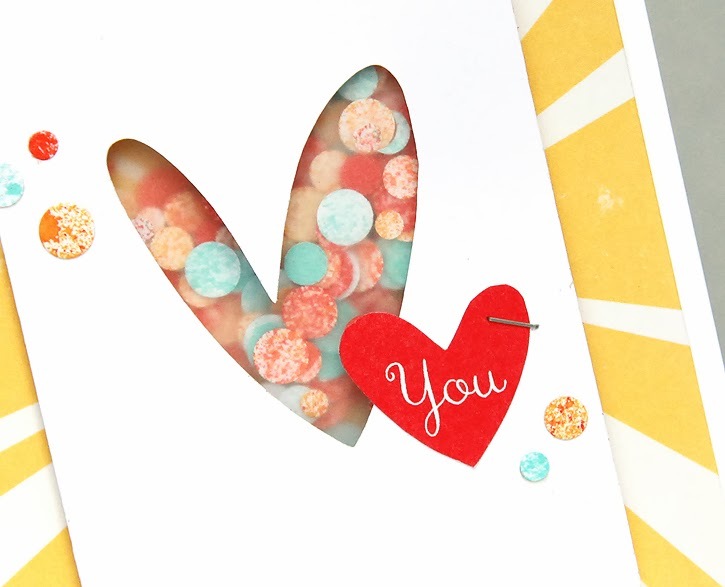 And since I had some leftover confetti on my table, plus a few other cute things from the Sugar Rush card kit and Taffy add-on to go with it, I put together this card in less than 10 minutes. I love that each little piece of confetti is unique! And finally, I made one more card. 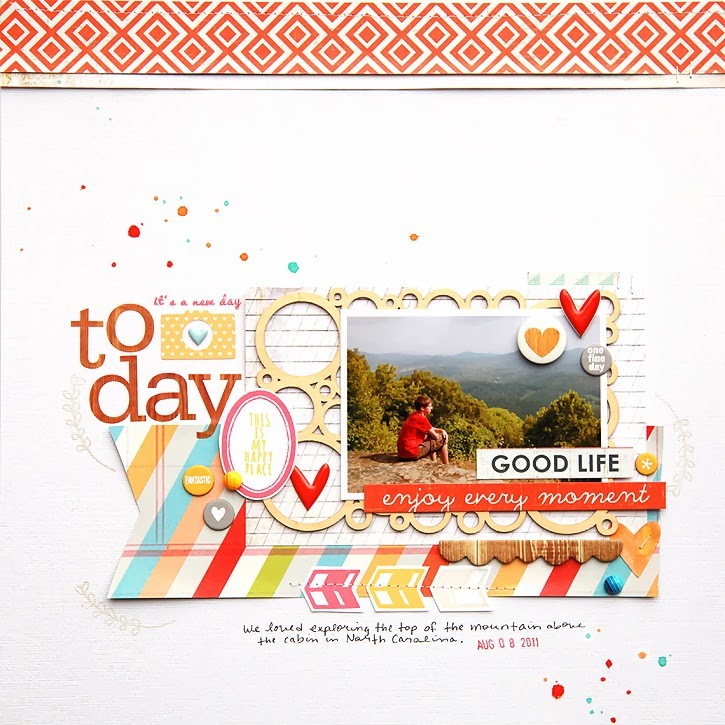 This one uses the little geotag die with a heart cut out of the center and some of my favorite patterned papers from the card kits. 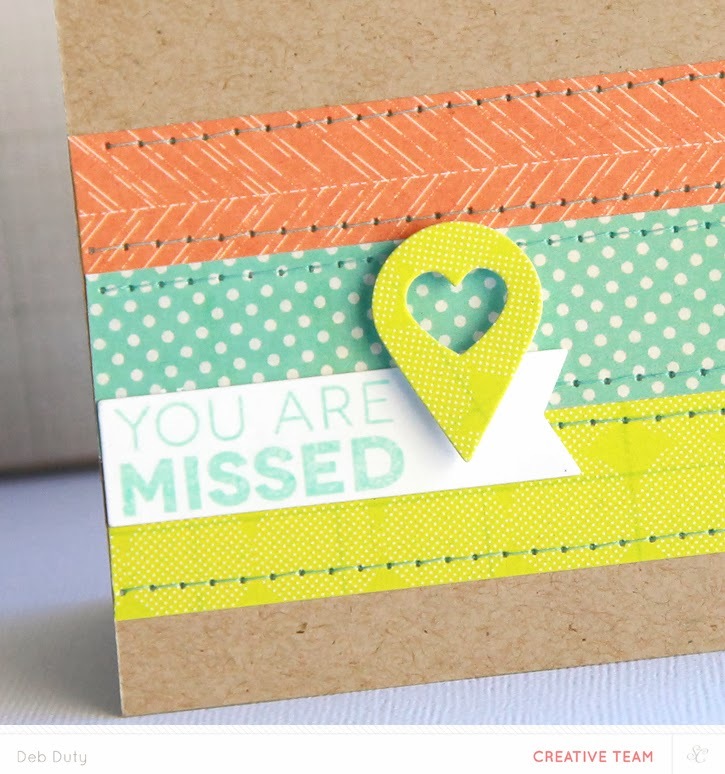 I sewed strips of paper onto my kraft card base, and then finished it with the "you are missed" stamp and the geotag. Hey guys! The Sugar Rush kits are now available for subscribers. And if you aren't a subscriber check back tonight right here at midnight Eastern. 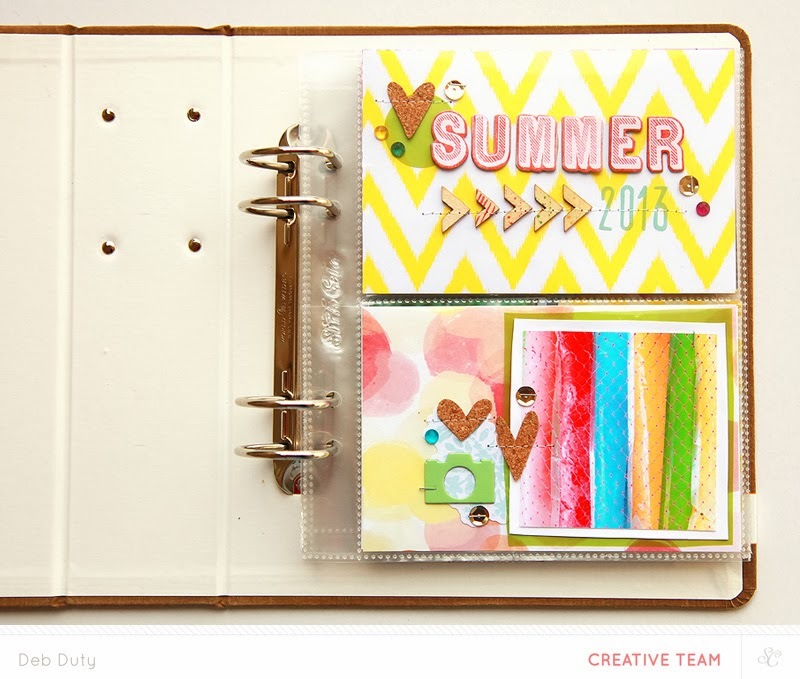 Don't miss out on the add-on stamp this month. It's by Lili Niclass and it is fabulous! I love every bit of it, especially that heart. 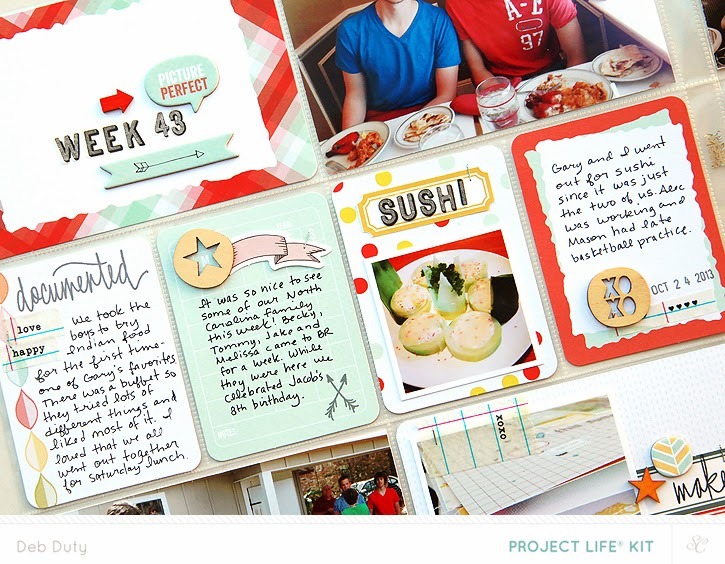 Here are my Project Life spreads and cards for this month. Just click on the image to be taken to the Sugar Rush gallery where you can see detail photos and description. I also made a few cards with the new dies that are available now. 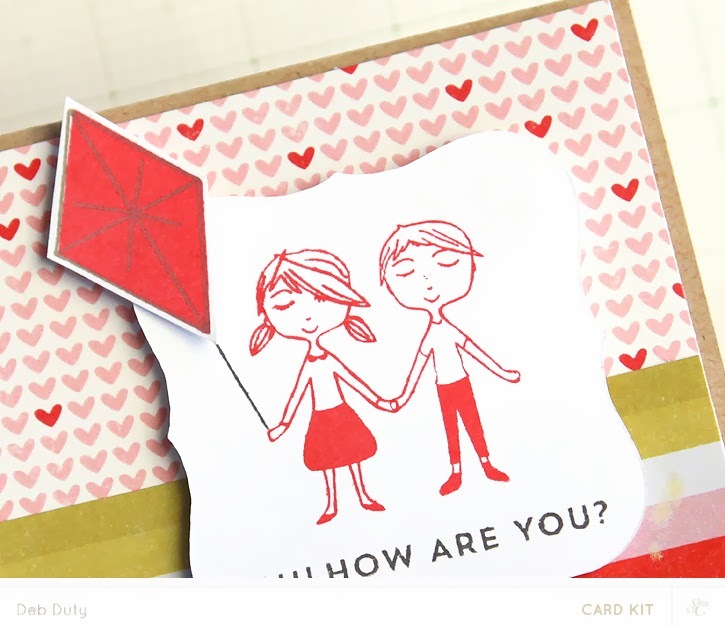 There is one that makes confetti, geotags, arrows and also matching dies for the card kit and Taffy add-on. I'll be back soon to share more cards! 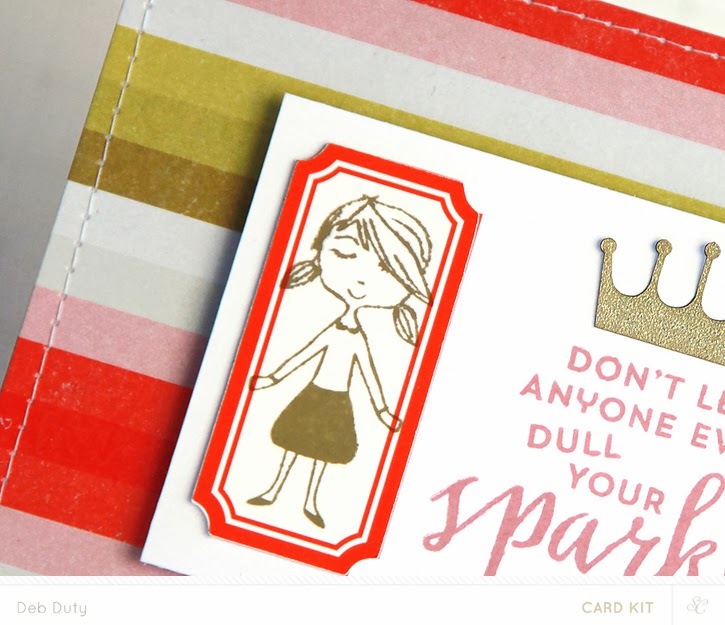 You don't have to wait much longer for the reveal of the Studio Calico Sugar Rush kits! Subscribers will start shopping Monday, January 27 at noon Eastern, and everyone else 12 hours later. Until then, you can check out the sneaks for all the kits here. 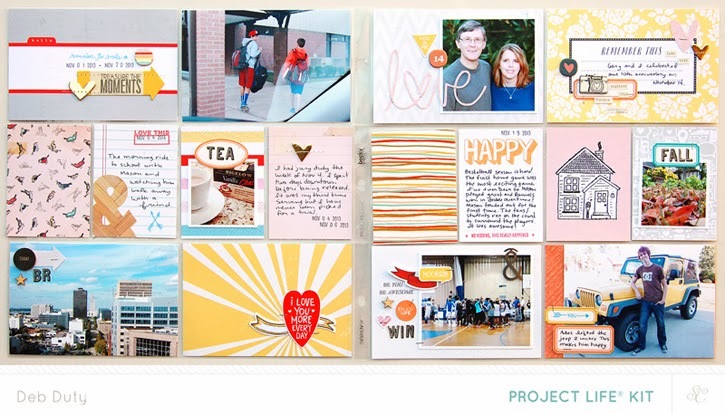 I have some sneaks of the cards and Project Life spreads I made with the February kits to share too! 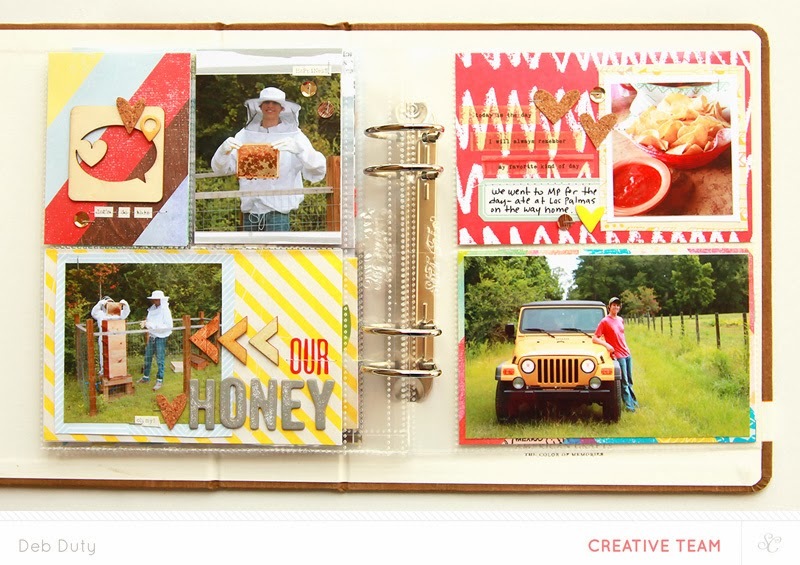 I'm not the biggest fan of pink in my scrapbooking, but Sugar Rush has won me over - lots of it showing up on my cards and a little on Project Life too. 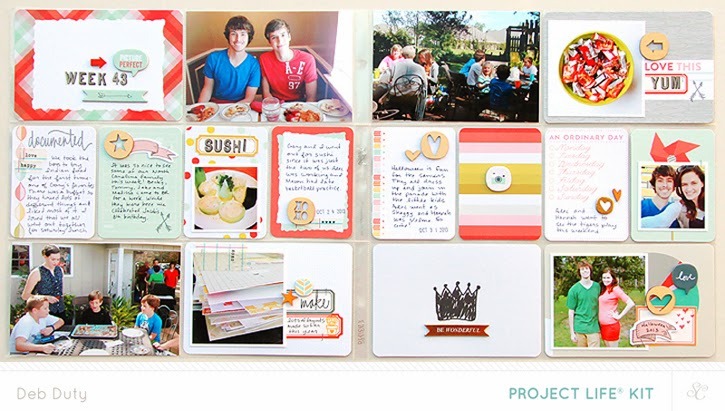 :) There are so many pretty colors in these kits and the Project Life cards are absolutely amazing once again! I'll be back to share the full projects at reveal! 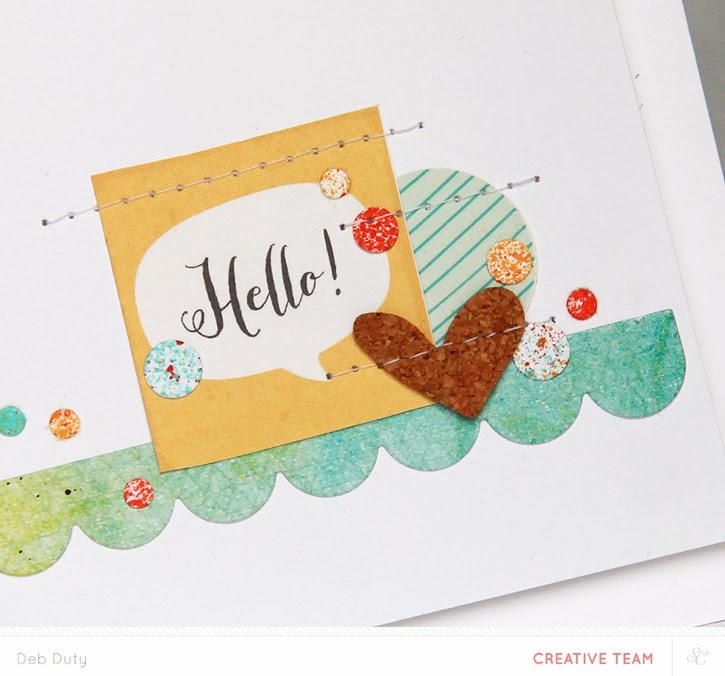 It's no secret how much I love Studio Calico's Copper Mountain card kit, and I don't think I'm alone. 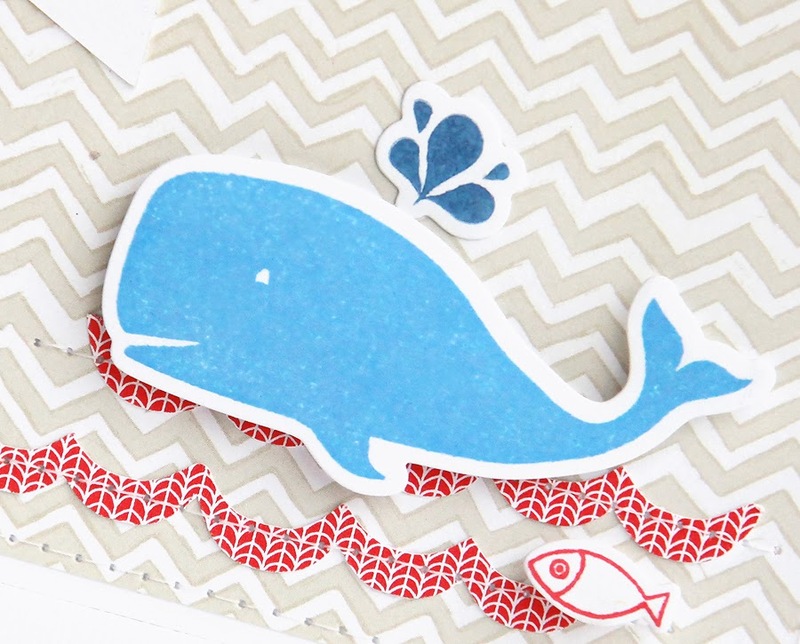 That whale is just too cute!! I decided to make another card based on this card from my gallery. 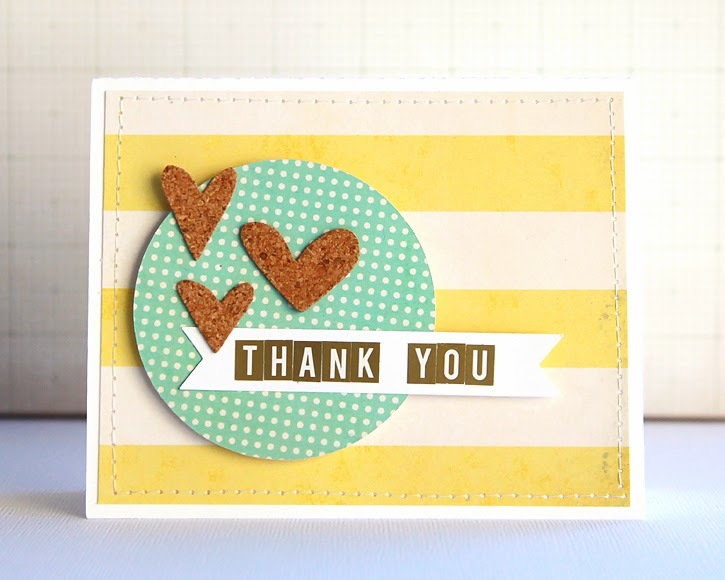 This time I made a horizontal card, and I changed up the colors of the background and waves. 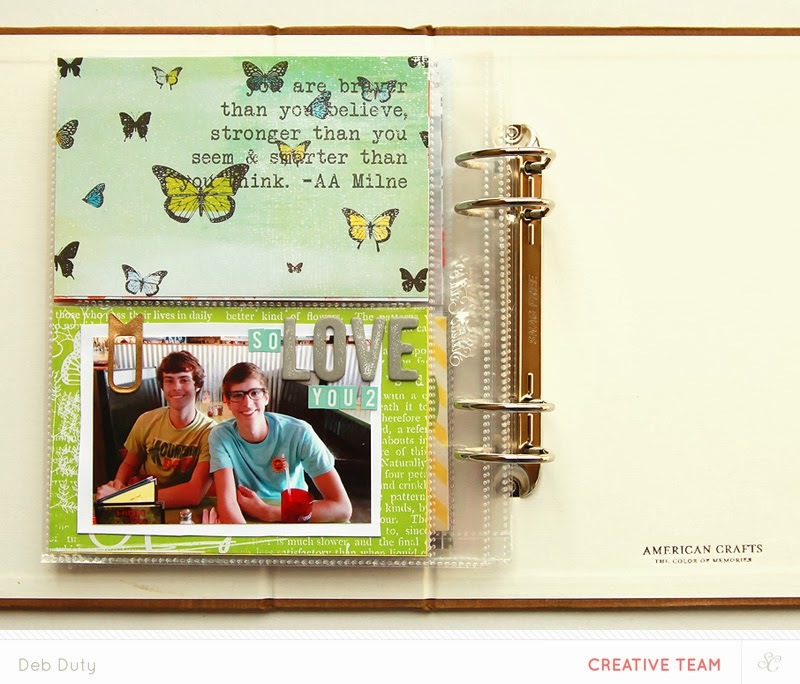 The chevron paper is from the Copper Mountain 4x6 paper pad. The waves are from the Spaulding Bowl card add-on. Dimensions: The base is a standard card size, 4.25x5.5". 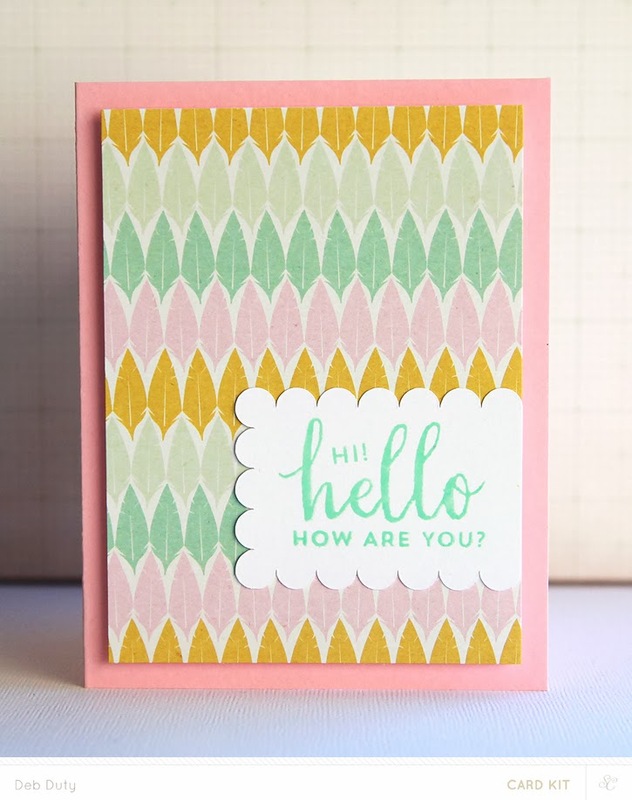 The patterned paper background is 4x5.25". The waves were cut with my Cameo using the Copper Mountain digital stamp files that are available at Studio Calico for only a few more days. 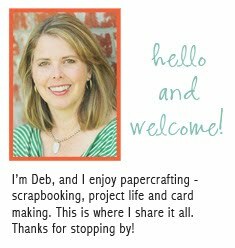 I cut the banner from white cardstock with my Cameo also. It's about 1.25x2". Inks: The whale is Hero Arts Cornflower. Hearts and fish are Hero Arts Pale Tomato. The sprout is a mixture of Hero Arts Navy and Cornflower. I stamped in Navy, added Cornflower without cleaning the stamp and stamped again. 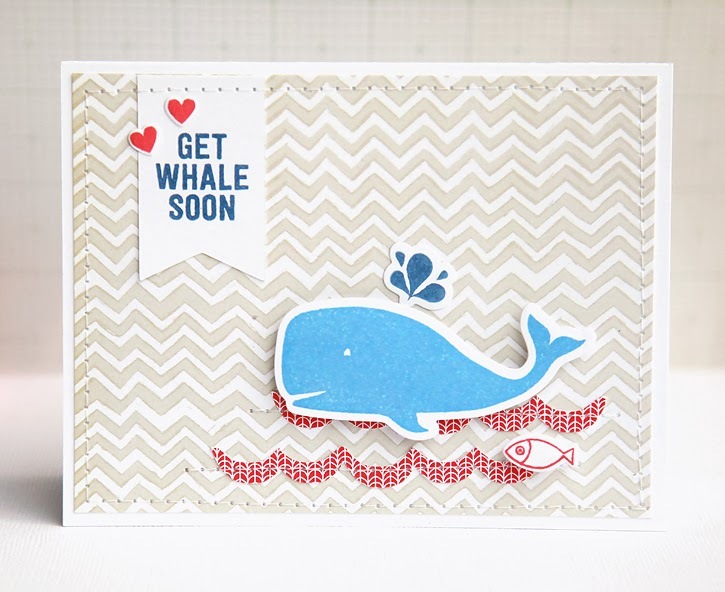 Dies: I used the dies from the card kit to cut out the whale, spout, hearts and fish. I always stamp first and then cut. 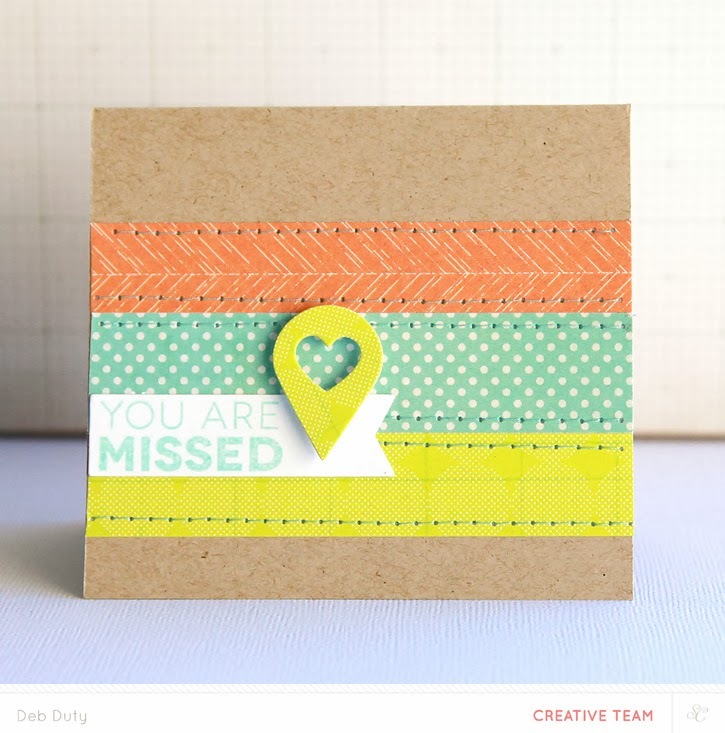 The washi tape holds the die in place. I adhered the patterned paper, banner and waves and then stitched around the edges and over the waves with my sewing machine. 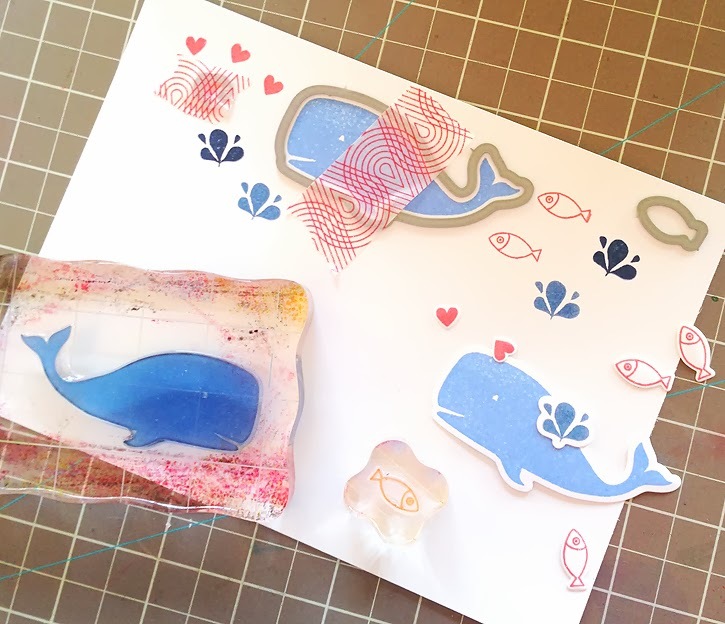 The whale and fish were adhered with dimensional adhesive. 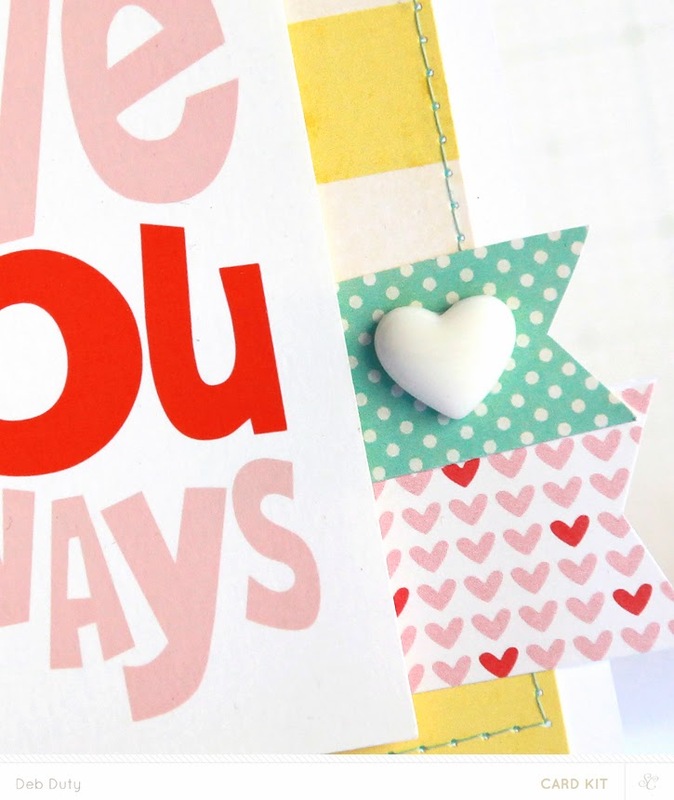 For the hearts and spout I used my glue pen. That's it! 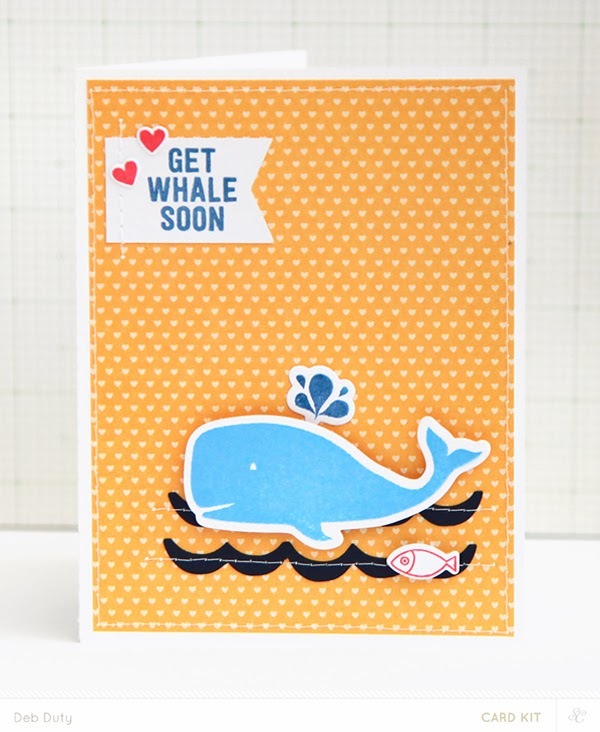 I hope you have fun making some whale cards too! Have you seen the three new collections by Studio Calico? 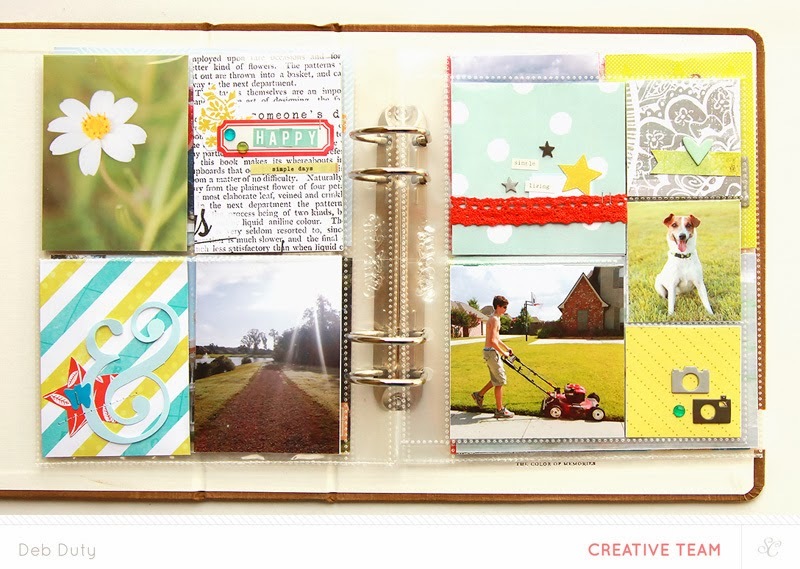 Check out all the awesomeness of Wanderlust, Lemon Lush and Essentials on the Studio Calico blog! 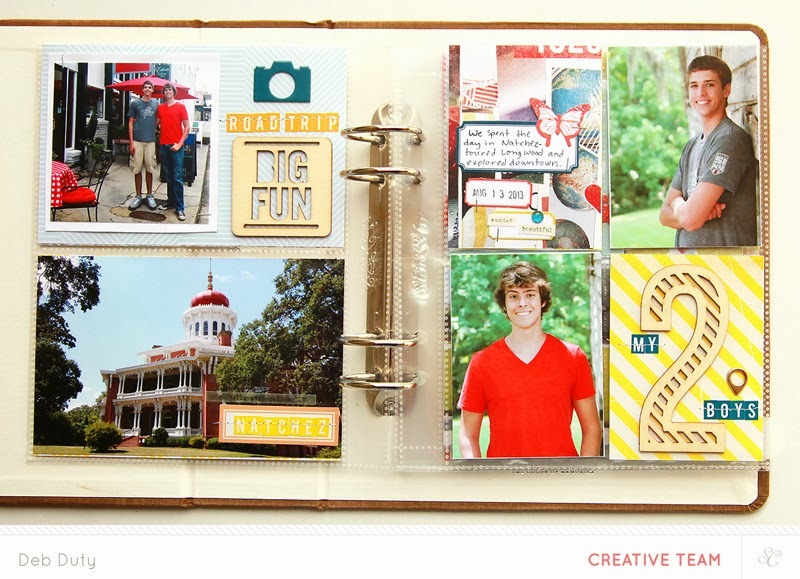 I used all three to create these handbook pages about last summer's adventures. All three lines work perfectly together. Notice the new Handbook pocket page style too!